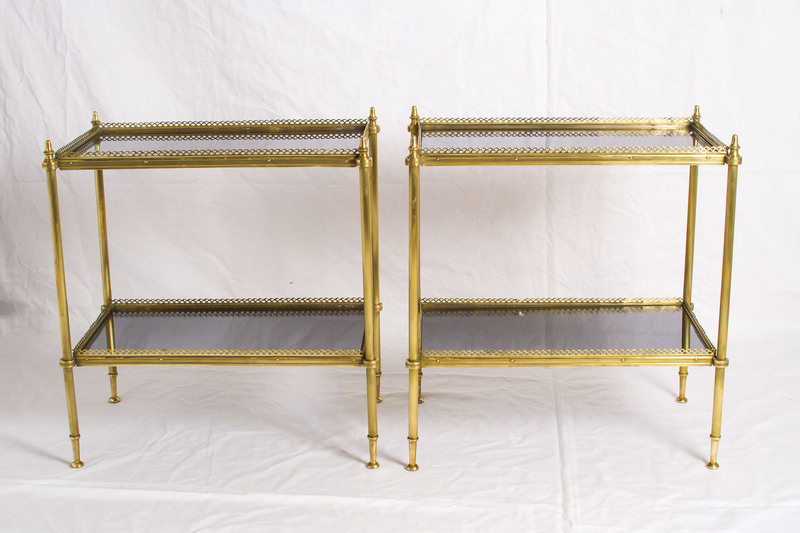 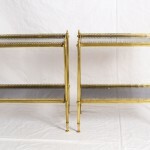 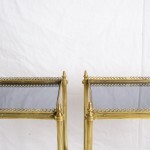 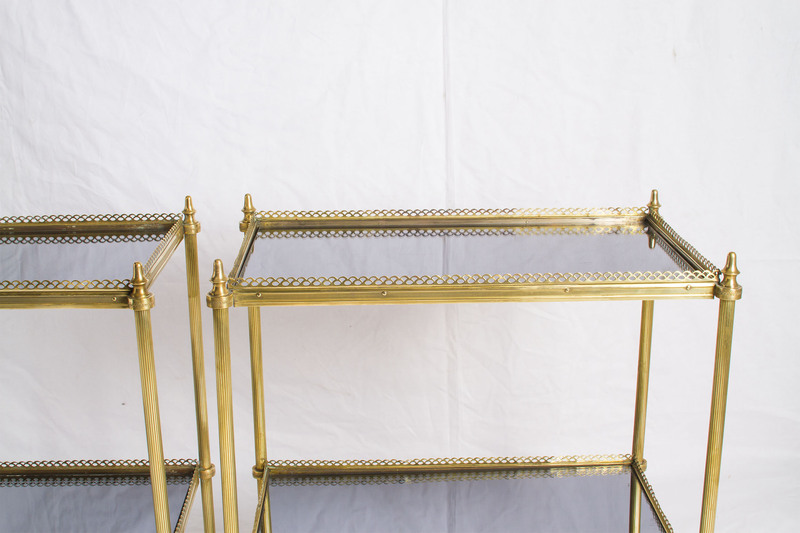 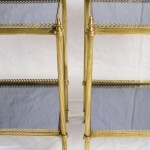 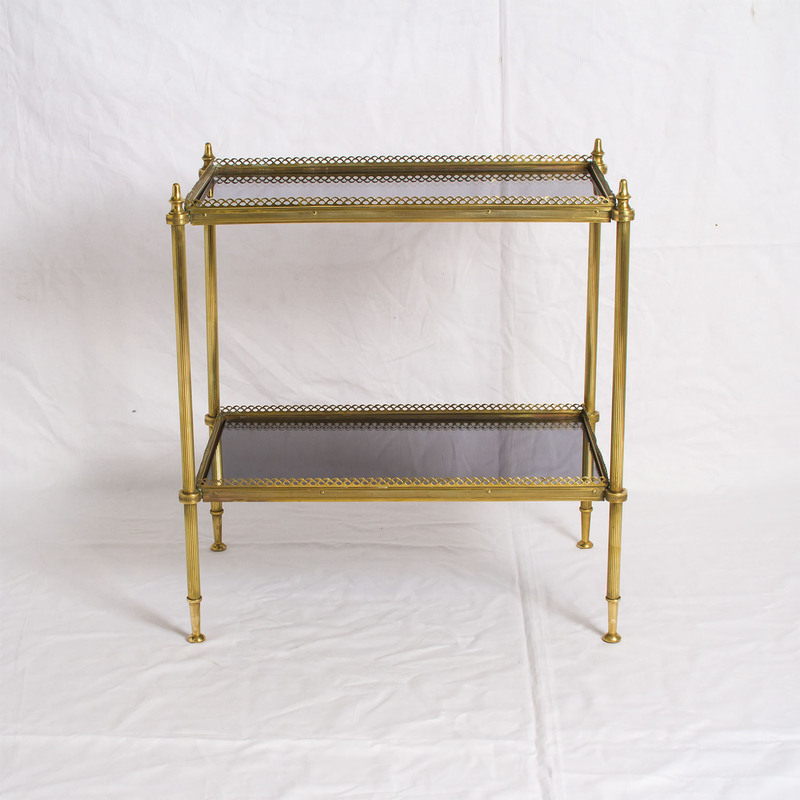 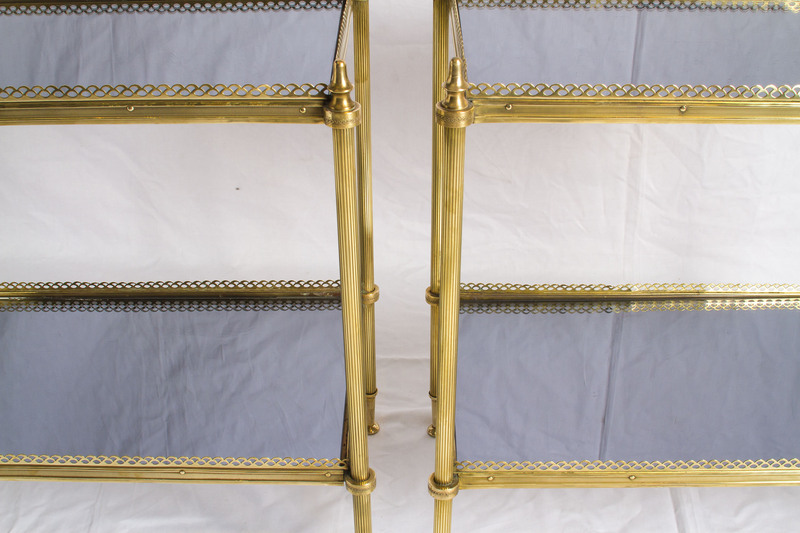 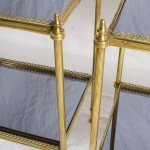 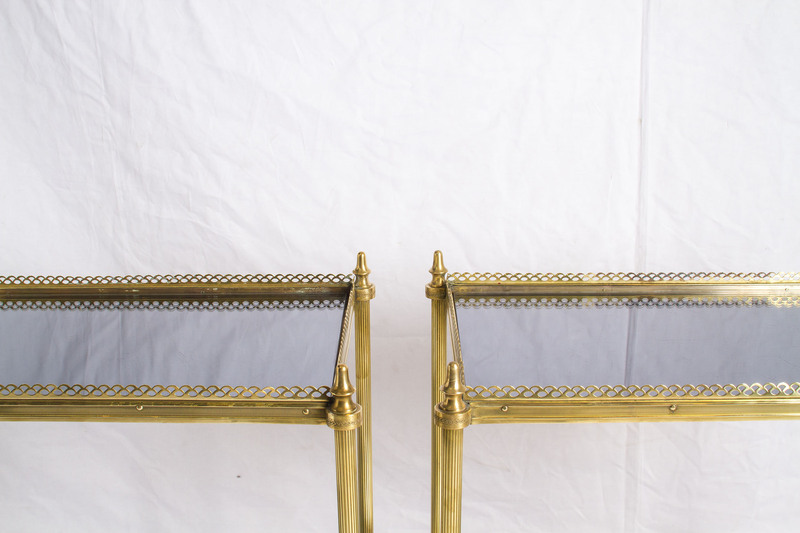 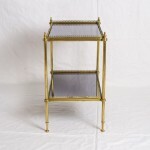 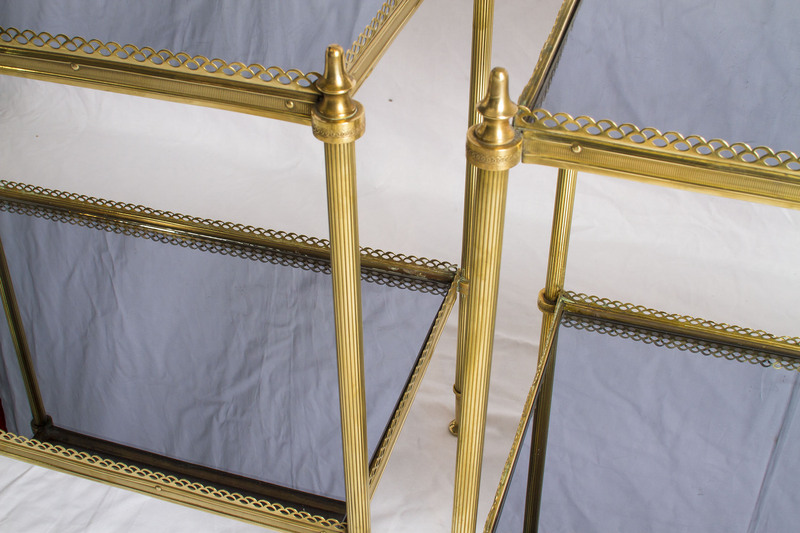 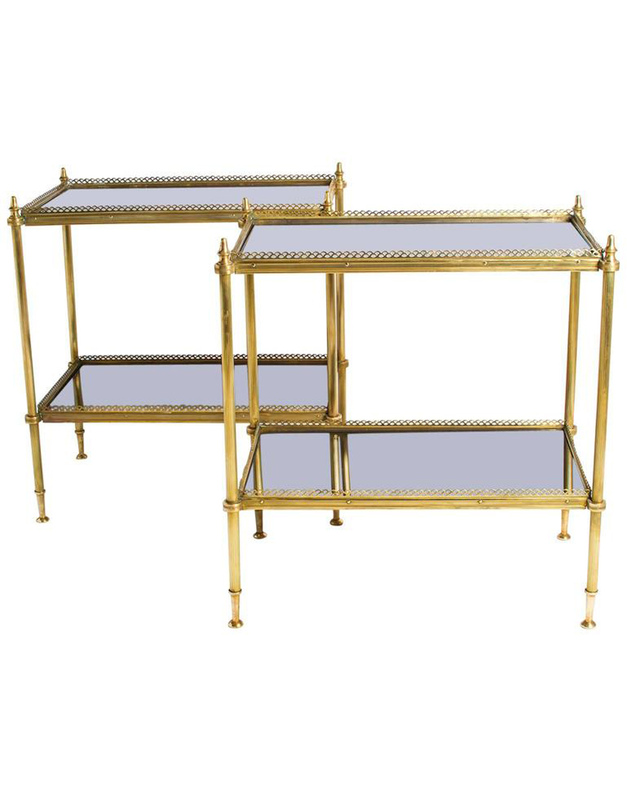 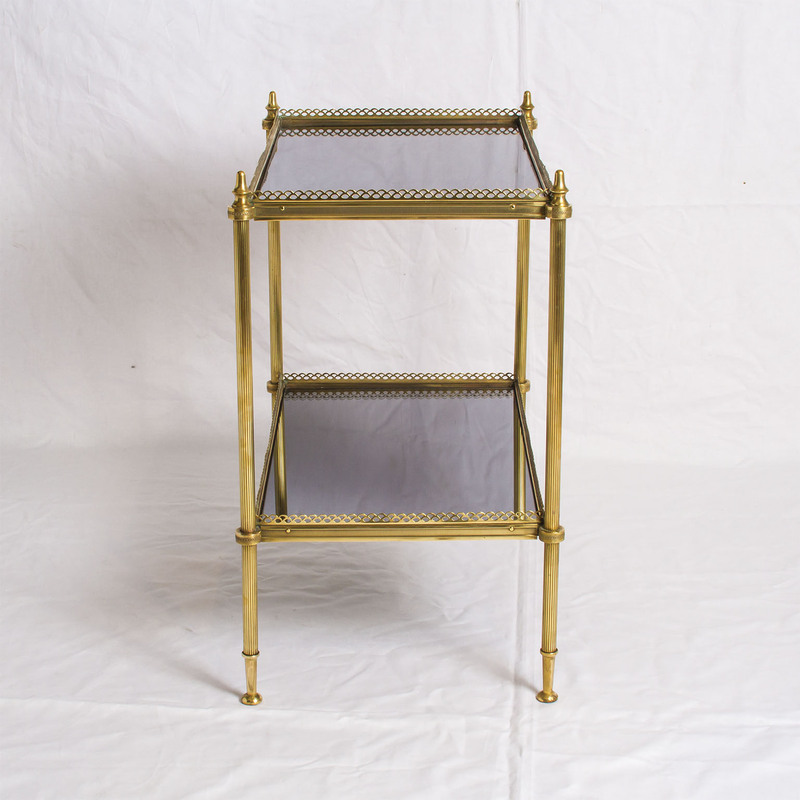 Superb pair of two side tables in the style of Maison Jansen. 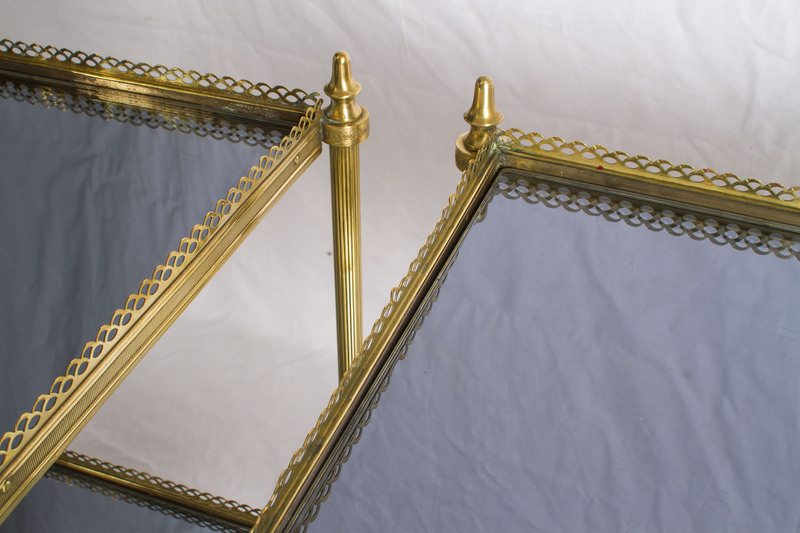 The mirrors are original and they are on a blue color, the mirrors are slightly scratched. 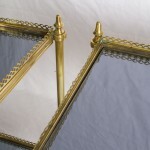 We can provide new mirrors on request free of charge if desired.